Brazing ovens are widely used in industrial brazing applications because they lend themselves to mass production and because they are easily operated by unskilled laborers. Furnace brazing is a better method for mass production than other brazing methods for a number of reasons. First is the ease with which brazing ovens can produce large numbers of small parts that are self-locating or easily jigged. Additionally, because brazing ovens use controlled heat cycles, this process allows the use of parts that would likely distort under localized heating and eliminates the need for post-braze cleaning. Brazing oven atmospheres offer another advantage by providing the metal part protection against oxidation. Common atmospheres include inert, reducing and vacuum atmospheres. Other advantages of using brazing ovens include: low unit cost when used in mass production, close temperature control and the ability to braze multiple joints at once. Ovens are typically heated using gas, electricity or oil, depending on their application and type. There exist four main standard types of brazing ovens from which a potential customer may choose for his or her brazing operation: batch, continuous, retort with controlled atmosphere, and vacuum. Batch type brazing ovens offer the advantage of relatively low start-up costs, and they can heat each part load separately. Additionally, the ability to turn them on and off at will reduces overall operating costs. Batch type brazing ovens are best for medium to large volume production, but they offer a large degree of flexibility when it comes to what types of parts they can braze. To control oxidation and cleanliness, batch ovens are compatible with both controlled atmospheres and flux. Continuous type brazing ovens best serve a steady flow of similarly sized parts, frequently fed through the oven’s hot zone on a conveyor belt. They most often use controlled atmosphere or pre-applied flux. Because they offer the benefit of very low manual labor requirements, continuous ovens are a great choice for large scale operations. 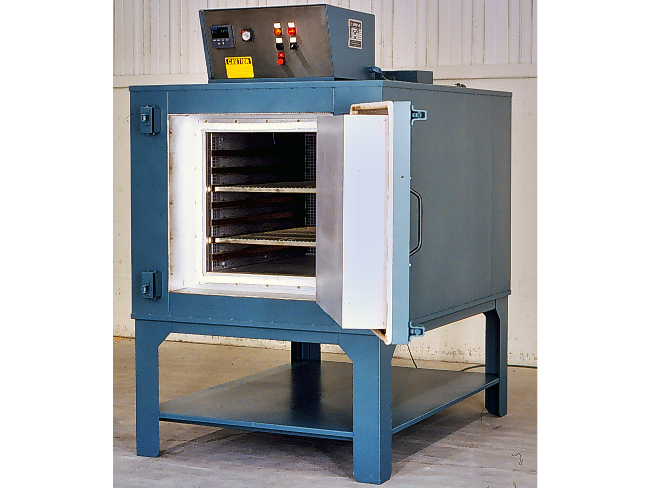 Retort ovens stand apart because they have a sealed lining called a “retort.” Said retort is generally either sealed with a gasket or welded shut, filled completely with the intended atmosphere and heated externally by conventional elements. It is almost always made of heat and oxidation resistant alloys. Retort ovens may be built as batch or semi-continuous models. Finally, vacuum type brazing ovens are a relatively economical method of oxide prevention, most often used to braze materials with very stable oxides that cannot be brazed in atmosphere ovens, like aluminum. 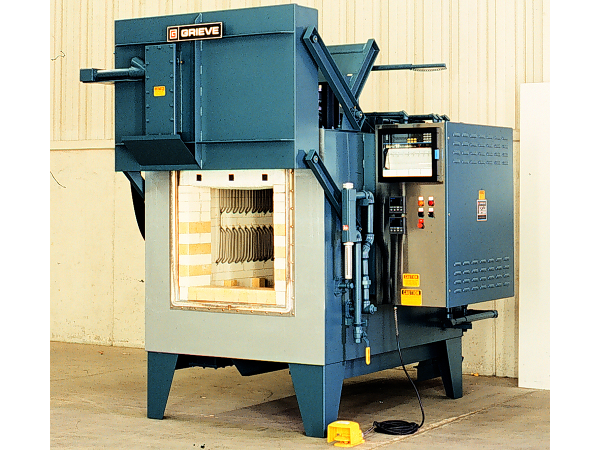 Vacuum brazing ovens are also relied upon for the brazing of refractory materials and other unconventional alloy combinations unsuited to atmosphere ovens. Since these ovens do not have flux or a reducing atmosphere, part cleanliness is of the utmost importance. Vacuum ovens, which are most commonly batch type and suited to medium and high production volumes, come in three main types: single-wall hot retort, double-walled hot retort and cold-wall retort. Brazing Ovens Brazing ovens are industrial ovens that semi-automatically perform the task of brazing, which is a process by which two or more metals are joined together by the melting and flowing of a filler metal into the joint in between the two metals, which have a higher melting point than the filler. When brazing is done in ovens, it is often called "furnace brazing."